High-quality Amplifier dust cover for MARSHALL 1912 CABINET. High-quality Amplifier dust cover for MARSHALL 1936 2 X 12 CABINET. High-quality Amplifier dust cover for MARSHALL 1960 A CABINET. High-quality Amplifier dust cover for MARSHALL 1960 AV CABINET. High-quality Amplifier dust cover for MARSHALL 1960 B CABINET. High-quality Amplifier dust cover for MARSHALL 1966 A 2 X 12 CABINET. High-quality Amplifier dust cover for MARSHALL 1974 X REISSUE COMBO. 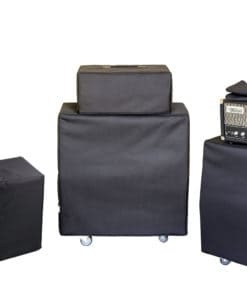 High-quality Amplifier dust cover for MARSHALL 2 X VBO + VBA AMP + CABINET. High-quality Amplifier dust cover for MARSHALL 2061 CX CABINET. High-quality Amplifier dust cover for MARSHALL 2061 X AMP. High-quality Amplifier dust cover for MARSHALL 2554 COMBO. High-quality Amplifier dust cover for MARSHALL 4140 CLUB COMBO. High-quality Amplifier dust cover for MARSHALL 5210 AMP. High-quality Amplifier dust cover for MARSHALL AS 100 D COMBO. High-quality Amplifier dust cover for MARSHALL AS 50 D COMBO. High-quality Amplifier dust cover for MARSHALL AVT 275 COMBO. High-quality Amplifier dust cover for MARSHALL AVT 412 XA COMBO. High-quality Amplifier dust cover for MARSHALL DSL 100 H AMP. High-quality Amplifier dust cover for MARSHALL DSL 40 C COMBO. High-quality Amplifier dust cover for MARSHALL HAZE 40 COMBO. High-quality Amplifier dust cover for MARSHALL JCM 2000 DSL 401 COMBO. High-quality Amplifier dust cover for MARSHALL JCM 2000 DSL 50 AMP. High-quality Amplifier dust cover for MARSHALL JCM 2000 TSL 100 AMP. High-quality Amplifier dust cover for MARSHALL JCM 2000 TSL 60 AMP. High-quality Amplifier dust cover for MARSHALL JCM 2000 TSL 601 COMBO. High-quality Amplifier dust cover for MARSHALL JCM 2000 TSL 602 COMBO. High-quality Amplifier dust cover for MARSHALL JCM 215 C COMBO. High-quality Amplifier dust cover for MARSHALL JCM 800 2204 AMP. High-quality Amplifier dust cover for MARSHALL JCM 800 4010 COMBO. High-quality Amplifier dust cover for MARSHALL JCM 800 4104 COMBO. 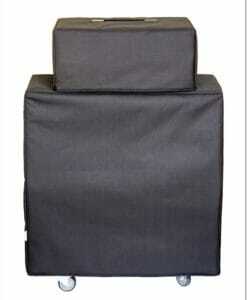 High-quality Amplifier dust cover for MARSHALL JCM 800 4211 COMBO. High-quality Amplifier dust cover for MARSHALL JCM 800 AMP.